You've reached the Web site for the text "Probabilistic Robotics." You can download from this page digital versions of all figures in the book, as well as powerpoint presentation that might be used in the classroom. More material will follow, so please stay tuned. 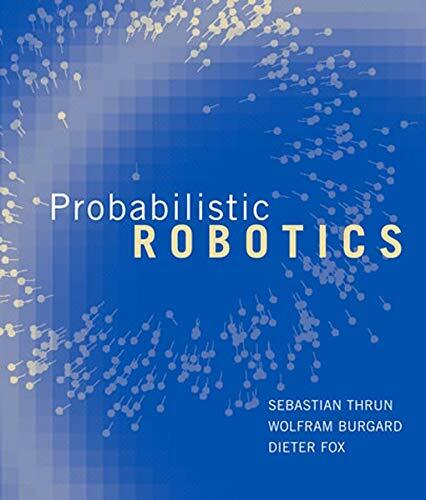 Probabilistic robotics is a new and growing area in robotics, concerned with perception and control in the face of uncertainty. Building on the field of mathematical statistics, probabilistic robotics endows robots with a new level of robustness in real-world situations. This book introduces the reader to a wealth of techniques and algorithms in the field. All algorithms are based on a single overarching mathematical foundation. Each chapter provides example implementations in pseudo code, detailed mathematical derivations, discussions from a practitioner's perspective, and extensive lists of exercises and class projects. Sebastian Thrun is Associate Professor in the Computer Science Department at Stanford University and Director of the Stanford AI Lab. Wolfram Burgard is Associate Professor and Head of the Autonomous Intelligent Systems Research Lab in the Department of Computer Science at the University of Freiburg. Dieter Fox is Associate Professor and Director of the Robotics and State Estimation Lab in the Department of Computer Science and Engineering at the University of Washington. All figures in the book, in PDF format and compressed Postscrip format. 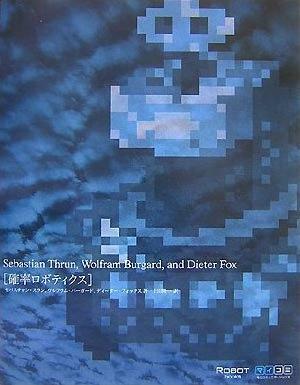 The book is now available in Japanese. A list of known errata is now available. Most of those errata were corrected in recent printings of this book.